With the death of Chris Chataway on Sunday morning, British and world athletics has lost not only a champion and world record holder, but a Renaissance man. Sir Christopher Chataway was a world class athlete, broadcaster, government minister, businessman, and retired as Head of the Civil Aviation Authority.  He also kept running throughout his life, the former sub-four minute miler running inside one hour 40 minutes for the half-marathon at the age of 75. Chataway contracted a cancer two and a half years ago, and died aged 82. Early obituaries have emphasised that Chataway was best known for helping his friend and colleague Roger Bannister break the four-minute mile, in May 1954. Readers might well ask, well if that was the case, how come Chataway won the first BBC Sports Personality of the Year at the end of that same year? The answer is that a few months after pacing Bannister, Chataway won the Commonwealth Three Miles, finished second in the European 5000 metres (beating the immortal Zatopek), and then broke the world 5000 metres record after an epic battle at London’s White City with the legendary Vladimir Kuts, who had won that European 5000m title, and would go on to win the 5000/10,000m double at the Melbourne Olympics two years later. 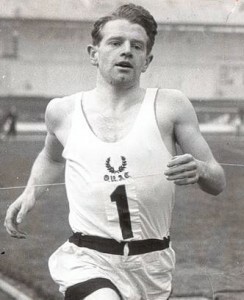 In the interim, Chataway ran his own sub-four Mile, in 1955. You can find fuller obituaries elsewhere – there is a particularly good one in the UK newspaper, the Independent – this is a personal reminiscence. A highly educated and ‘clubbable’ man, I was fortunate before and after the turn of the century, to encounter Chataway several times while running around Hampstead Heath, that north London wonderland which is such a boon to the city in general and runners in particular. He was an immensely personable man, and his enthusiasm belied his advancing years. Indeed the last time we trotted together, he was already in his early 70s. A decade prior to that, he had emceed the 40th anniversary dinner of the first sub-four with urbanity and biting wit. Between those two encounters, I called him to get a quote for an article I was writing on the celebrated scientist Alan Turing, who had once finished fifth in the AAA Marathon Championship, in 1948. Turing had preceded Chataway at Sherborne School in Dorset, and had also been a colleague at Walton Athletic Club. The pair competed on the same club team in the then prestigious London-Brighton road relay, in 1950, when Chataway was still a teenager. Despite all his later success on the international stage, Chataway recalled that domestic club event as one of the great athletic experiences of his life. He painted the race vividly, the more so since he was running the final, ‘glory’ leg. “Running that last stretch into Brighton, passing runner after runner, it gave one a feeling of almost supernatural ability. I never had that before or since. I always think it’s the nearest I came to being one of the gods”.